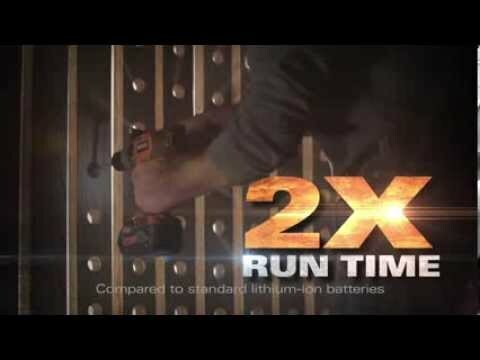 18V Lithium Ion Cordless 2.0-Amp/Hour Pack is rated 3.5 out of 5 by 2. Rated 5 out of 5 by Ogdenboys from Nice Improvement I am a concrete contractor and have used all brands of cordless tools. Ridgid tools are not always the most powerful or cheapest but for middle of the road pricing they represent the best value by far. And for me Ridgid tools fit best in my hands. one of the reasons for this is their battery paks. This 2amp/hour pak is a nice improvement and does not add much weight to the tool. Ridgid has bigger 4 and 5amp/hour batteries and they last and perform great but like all longer amp/hour batteries they add weight. These 2amp/hour batteries are light and last a long time. I have had this battery for over a year now and I work it hard but keep them charged and dry and have had no issues. Is this a suitable replacement for my 18V LI-ION #CS1052? Had the tools for at least four years. This is the number that's on the battery. I have a 18v R86006 drill that I purchased in Sept 2007 and I need to buy new batteries. Will these work on this drill and charger (BD0730)? what are the weights of the 1.5 amp/hour pack (sold in combo kit - Drill/impact driver and radio-R9601), 2.0 amp/hour pack and the 4.0 amp hour pack? I have a R841150 18v drill. Is there a 4 hour battery I can use with it and the chargerthat came with it?